Hey guys! Alicia here from Sew What Alicia. I love coming here to share all my non-sewing escapades! 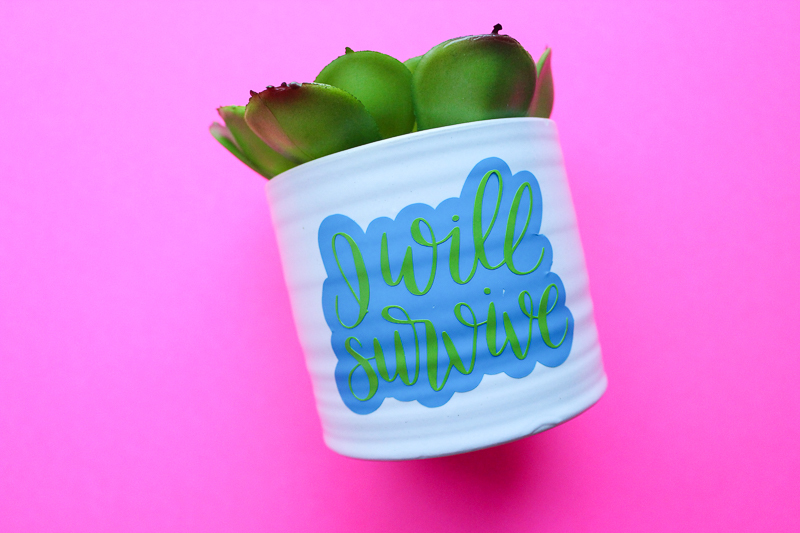 Today I am using the I Will Survive free cut file on an adorable succulent vase. 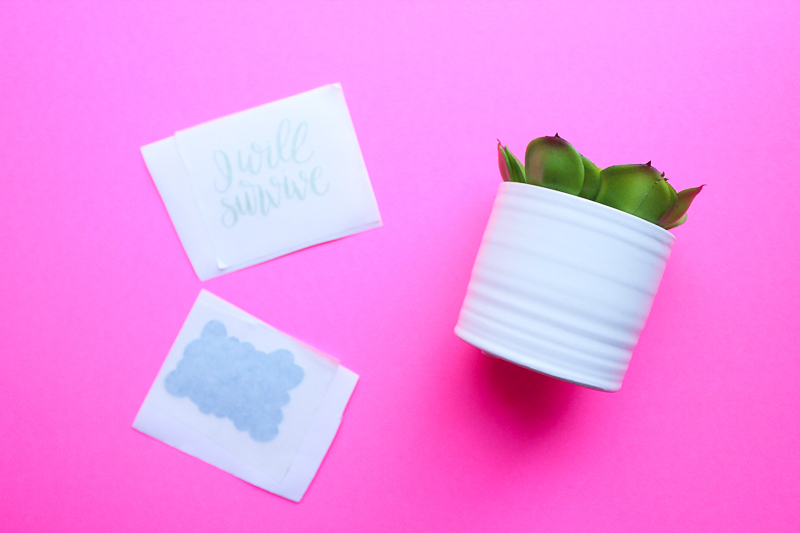 This is a mini vase so let’s talk about using small vinyl shall we?? 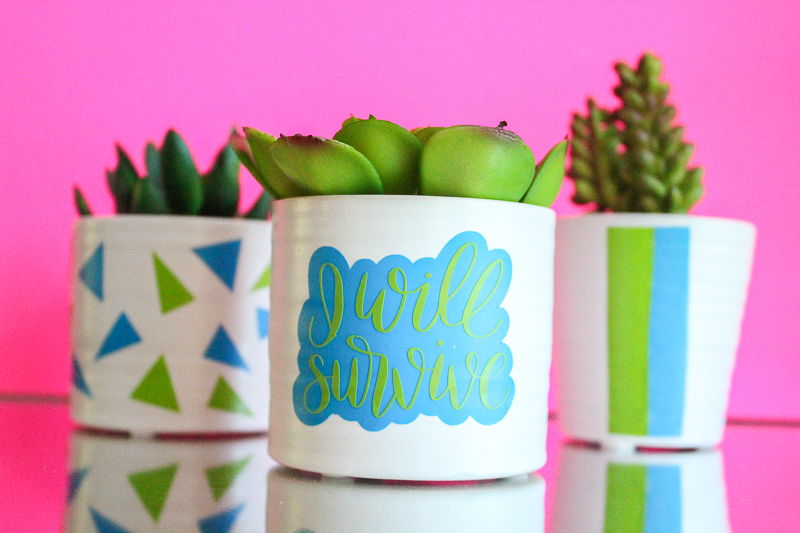 Here is an I will survive vinyl succulent vase tutorial! I cut two squares of vinyl that were just a bit larger than my finished sizes. Then I went ahead and put them down on the mat right side up. The green was on the right top and the blue was on the left top. This way you can cut both images at the same time. For the triangles I simply used the “draw polygon” tool, connected three sides and the clicked out of the polygon tool. Repeat this creating as many triangles as you want. Repeat the steps of cutting two rectangles of vinyl and cutting all the triangles in the same pass. Now grab your transfer paper. Transfer the offset background to the vase first. If there are bubbles pull the vinyl up in four quadrants and use a straight edge (like a credit card) to smooth the vinyl back onto the vase. 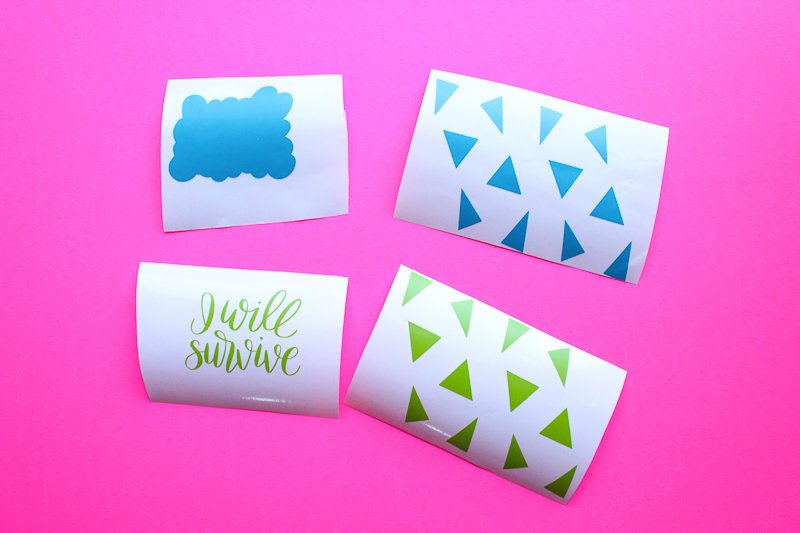 Trim your transfer paper so that it is close to the edges of your words to help yourself align the words on top of the background. I didn’t use the stencil method instead I added two strips of vinyl that I free handed from scraps to finish off my trio. I am a little obsessed with the blue and green color scheme right now! 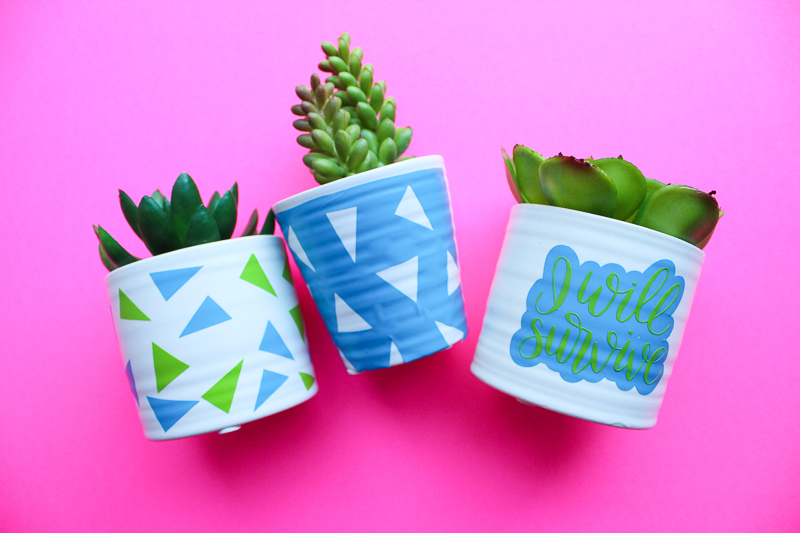 You can check out my no-sew embroidery hoop tutorial, it goes perfectly with these vases!! HERE. 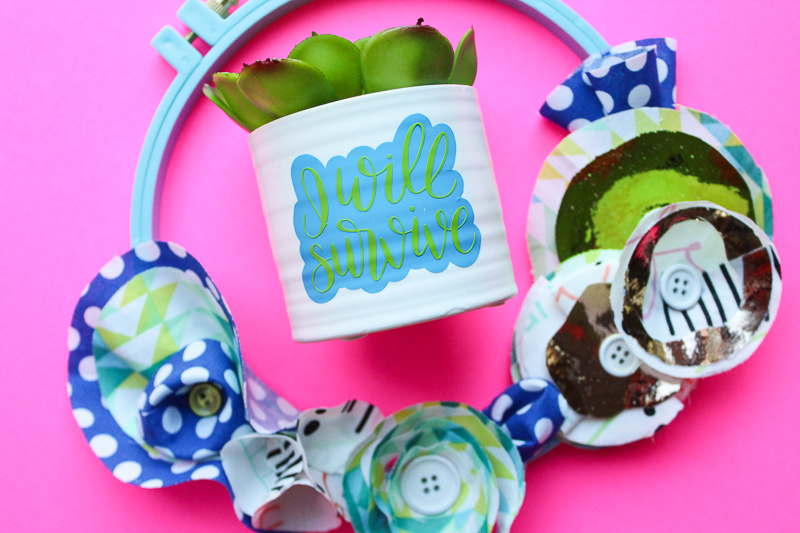 Thanks for letting me share this I Will Survive Vinyl Succulent Vase Tutorial with you! You can find me over on Sew What Alicia sharing sewing tutorials and other great fabric projects and tips.